Nick Xenophon says he would like to see former ‘Team’-mate Tim Storer return to the party fold after the High Court today paved the way for Skye Kakoschke-Moore’s former Senate seat to fall to the independent Adelaide businessman. Storer, a consultant and member of the Australia China Business Council, was fourth on the Nick Xenophon Team’s Senate ticket at the 2016 federal election, at which the party snared three upper house seats. But Storer subsequently quit the party amid an aborted legal challenge in which he asserted his right to take over Xenophon’s Senate seat when the party leader stood down to contest the state election. However, the falling out came back to haunt Xenophon when Kakoschke-Moore became embroiled in federal parliament’s citizenship scandal in November, when she quit after learning she was a British citizen. In a special count, the seat would naturally fall to the next candidate on the ticket. Kakoschke-Moore petitioned the High Court seeking to fill the casual vacancy herself, having subsequently renounced her British citizenship. But the court found today Kakoschke-Moore was not eligible to replace herself and determined that Storer should not be excluded from a special count to determine the seat. 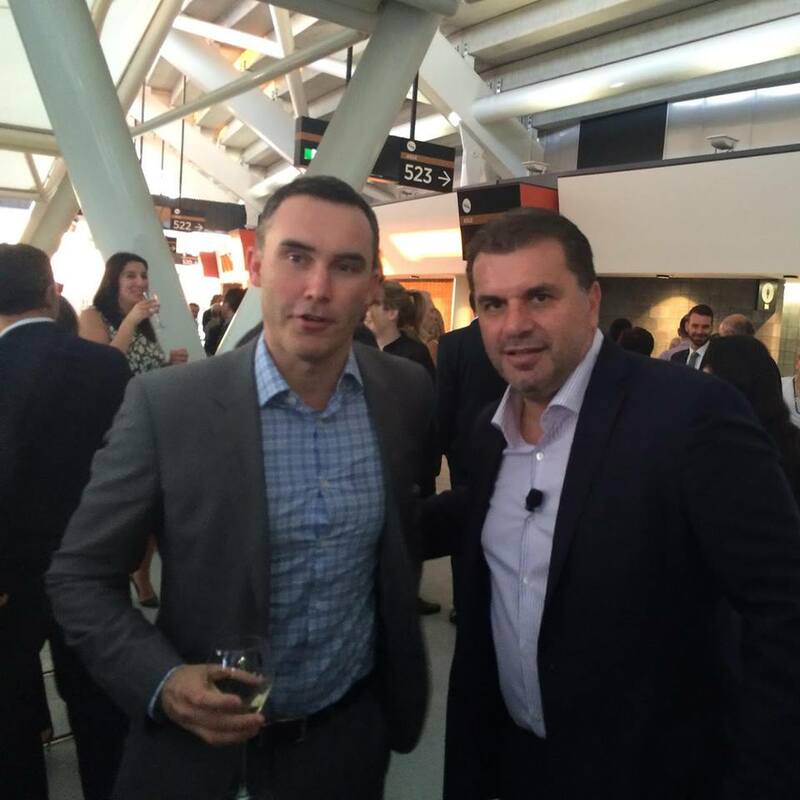 Tim Storer with former Socceroos coach Ange Postecoglou in a photo from his Facebook page. Kakoschke-Moore, who has expressed the intention to seek a return to the Senate at the next federal election, welcomed the certainty provided by today’s decision. “The past few months have been a very trying time,” she said. Xenophon, who has now lost one of his three prized Senate seats, suggested he would like to see Storer return to the fold but emphasised it was “a matter up to him”. “The short answer is yes,” he said when asked if he wanted Storer to rejoin the NXT. Xenophon said his two remaining senators Stirling Griff and Rex Patrick, along with Mayo MP Rebekha Sharkie, would “bend over backwards to give [Storer] whatever assistance he wants”. “He’ll be treated with absolute courtesy – whatever assistance he needs, he’ll get from us,” he said. Absolutely respect High Court's decision today. Obviously very disappointed for @SkyeKM not being reinstated to senate. She did great work for SA & so many good causes. Congratulations to Tim Storer – a genuinely good & capable person – totally wish him well. The loss of clout in Canberra is a blow to Xenophon on the eve of a state election in which his SA Best party is widely expected to yield the balance of power. Both major party leaders have applied the blowtorch in the past 24 hours, with Xenophon seeking legal advice over Liberal leader Steven Marshall’s claims the former senator had already done a deal to keep Labor in power. Premier Jay Weatherill joined the fray today with a similarly unsubstantiated claim, telling reporters of “rumours around the place [that] members of his team are saying they’ll be resigning from his party within months of being elected and becoming independent”. “There are people in Nick Xenophon’s team who have been speaking to other people about the fact they would be leaving his party after the election,” he said.